Give your look some fierce vibes with this split front dress. 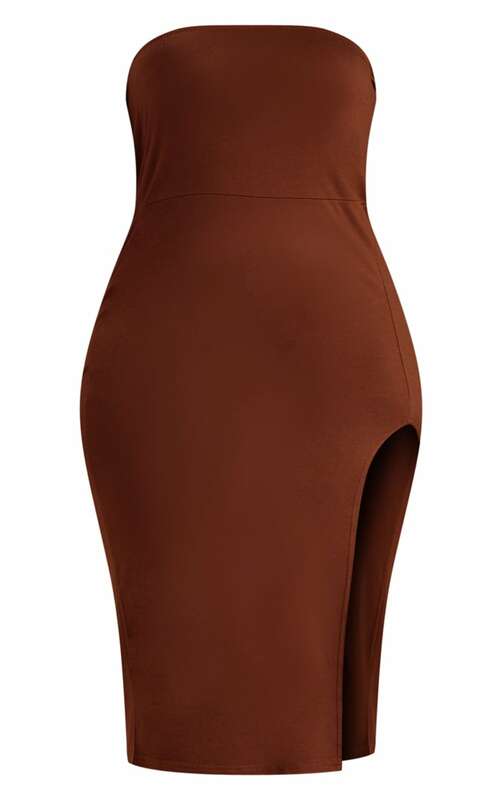 Featuring a chocolate brown material with a bandeau neckline and a thigh-high split, we are obsessed. Team this with sky-high heels for a look we are loving.